Wiley Group (WG) is an independent wealth advisory firm. Wiley Group’s e-invitation design coordinates with a printed holiday card for clients. Both are in keeping with the established WG brand. 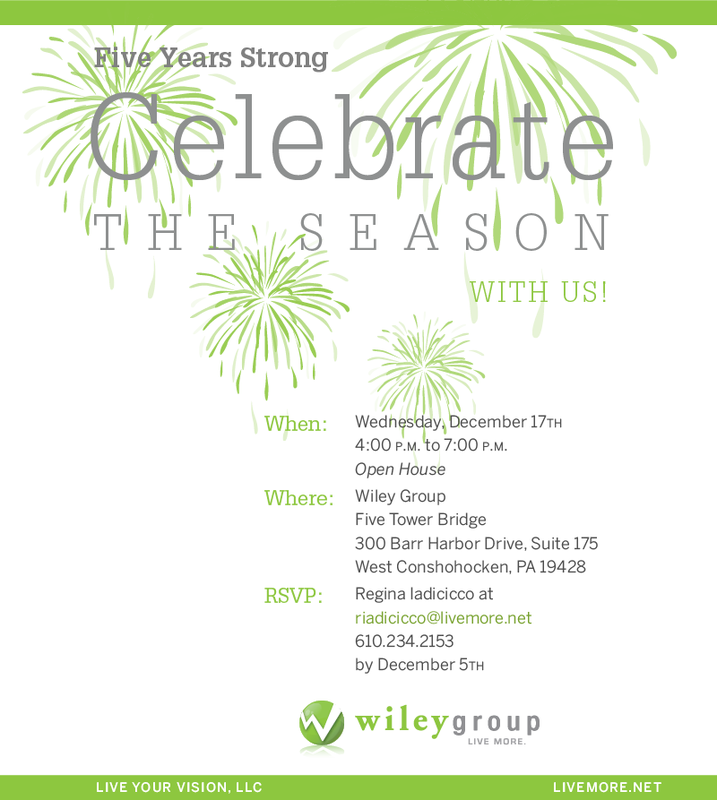 idesign communications has created Wiley Group’s e-invitation and holiday card for four consecutive years. The focus for this e-invitation and card is the firms five year anniversary. The “Five Years Strong” concept was crafted by idesign communications.